This entry was posted on January 26, 2013 at 8:00 pm and is filed under Action, Drama, Foreign, Martial Arts with tags 1994. You can follow any responses to this entry through the RSS 2.0 feed. You can leave a response, or trackback from your own site. I do like to watch old kung fu movies, so I think I might check this out. Nice review. You should love this then. They say it’s one of the greatest ever made. The synchronization issues are annoying but not fatal. It’s odd that Cantonese, Japanese and even English are all spoken on the original soundtrack. I wish they had just left it instead of dubbing. That’s what subtitles are for, right? I won’t make you do any research, but I think I’d like to see this if the “original language” option was available on a standard DVD. I’d easily give up the high quality for not having to be disappointed for the same unforgiving reason that I was disappointed by Crouching Tiger, Hidden Dragon. 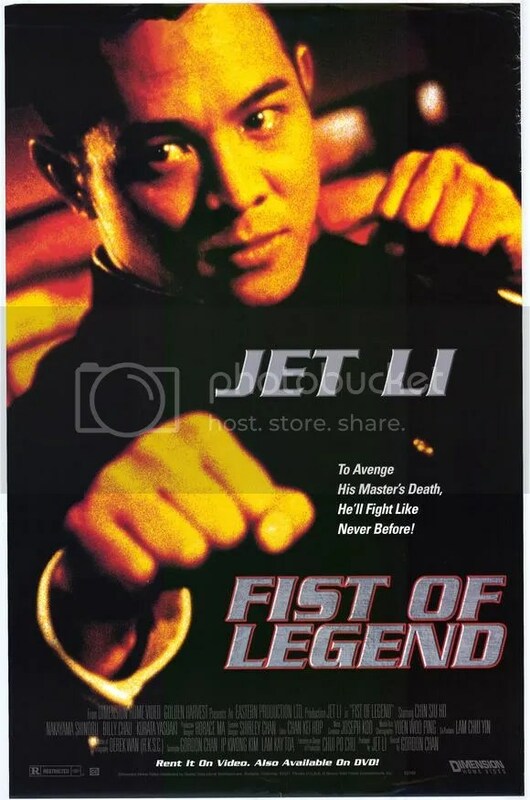 I hear it’s out of print and impossible to find, but the Mei Ah VCD version of Fist of Legend has the original spoken language.